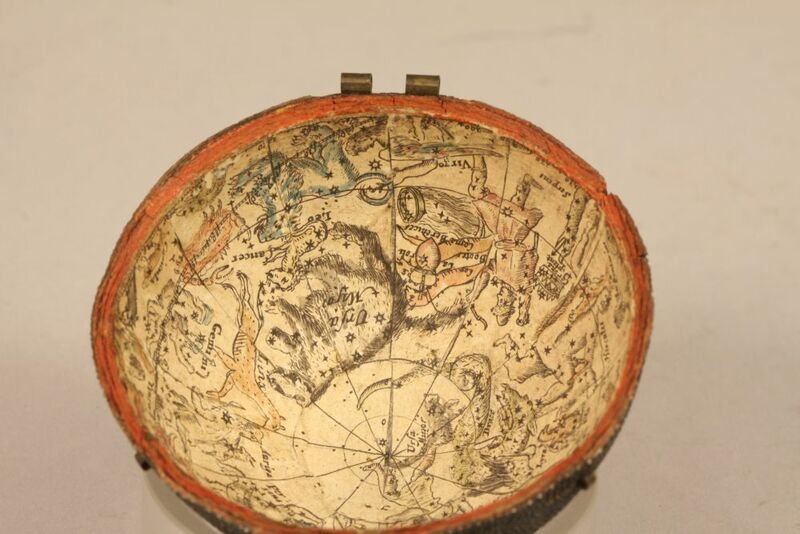 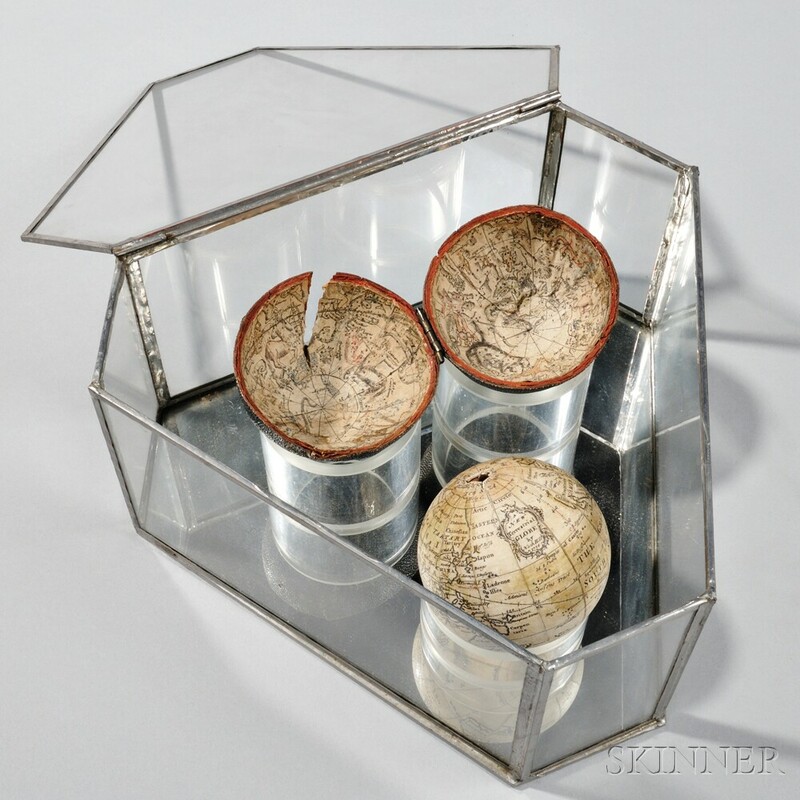 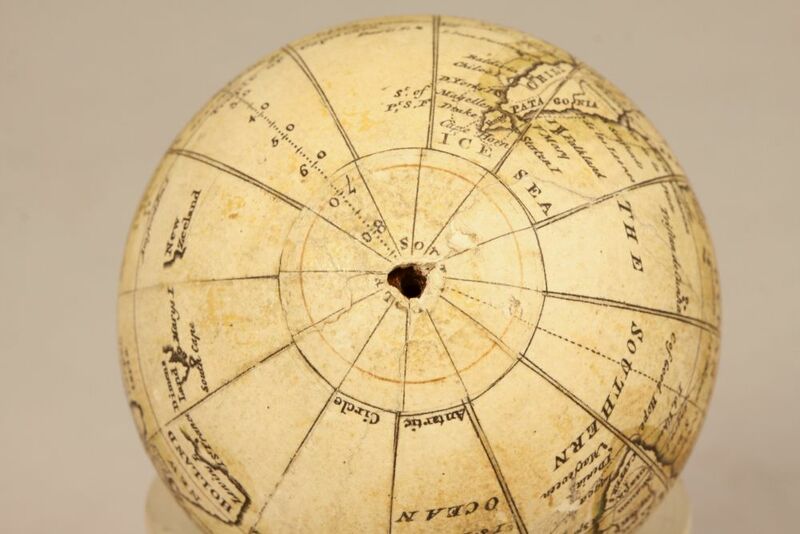 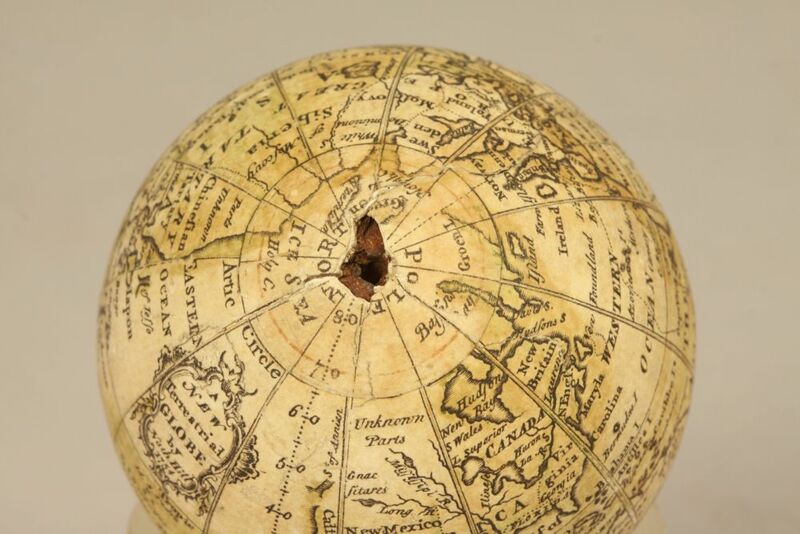 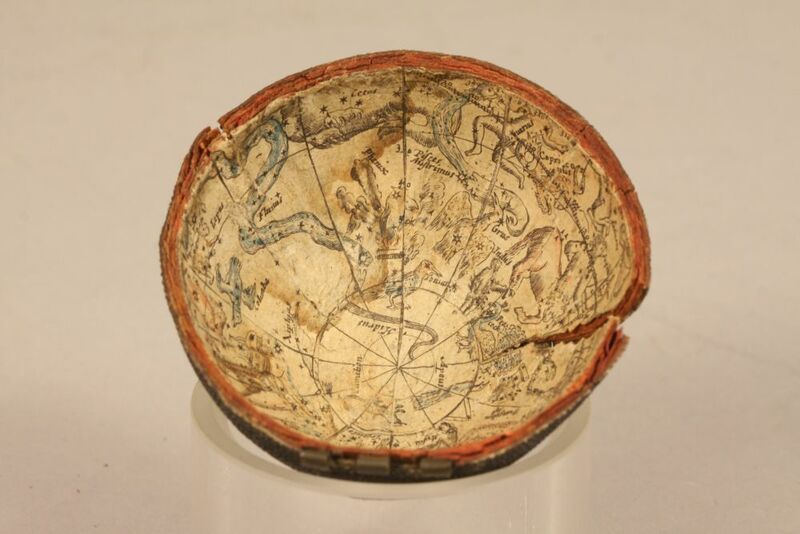 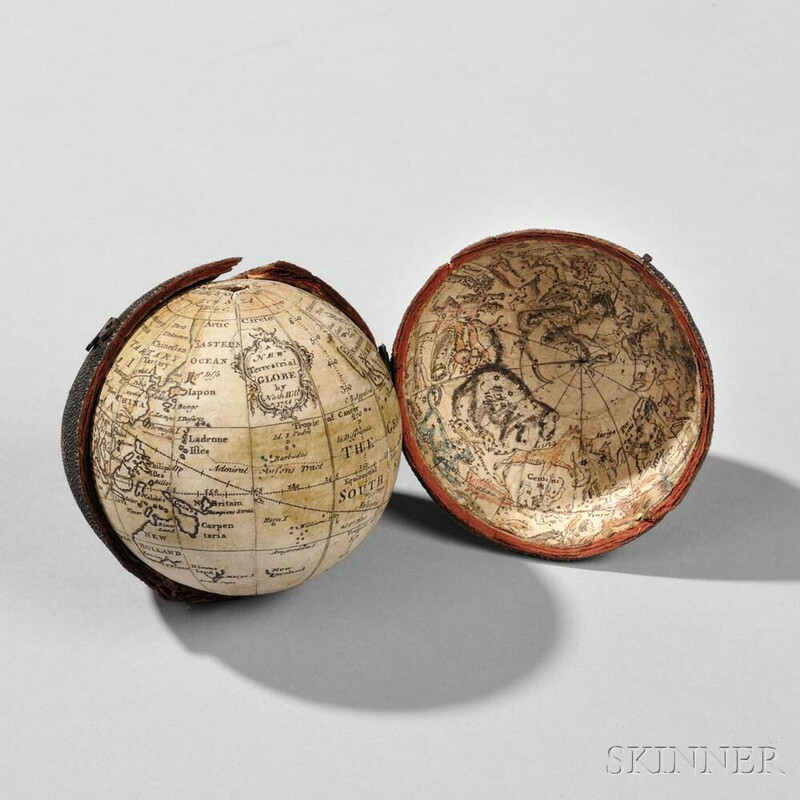 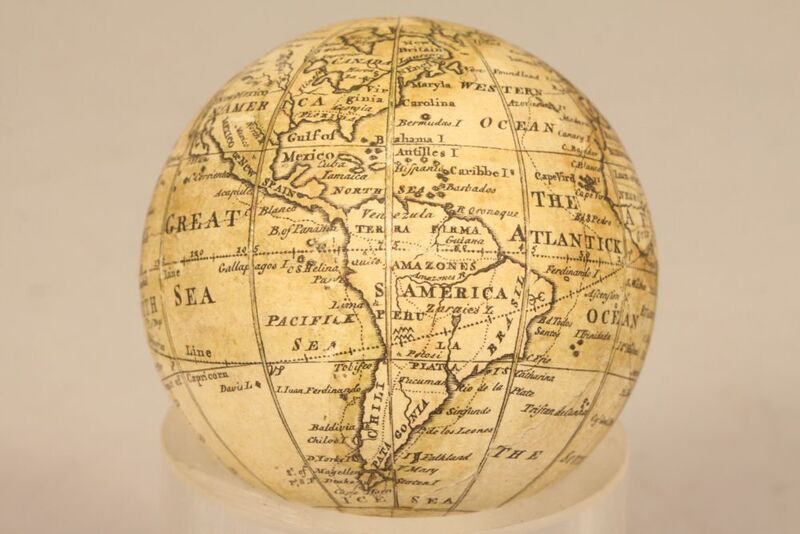 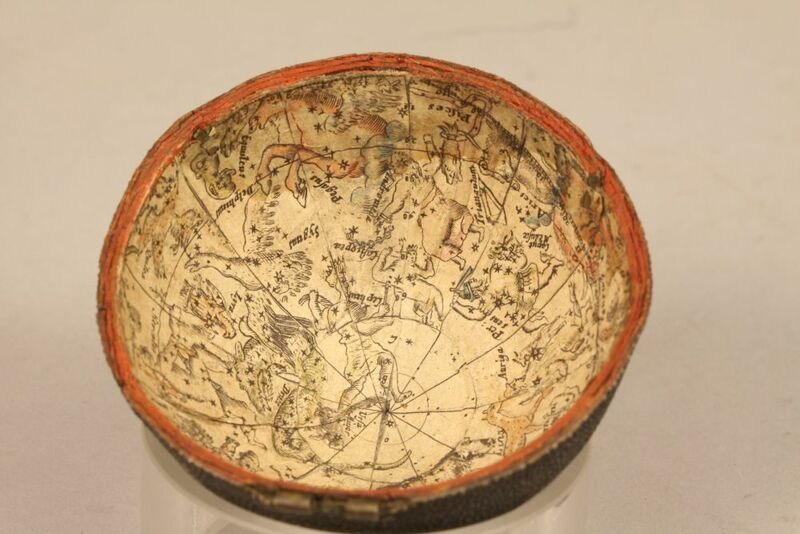 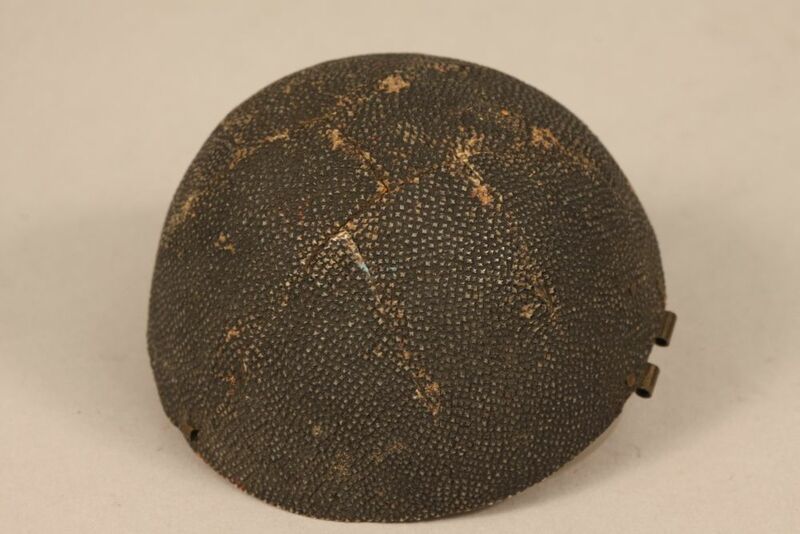 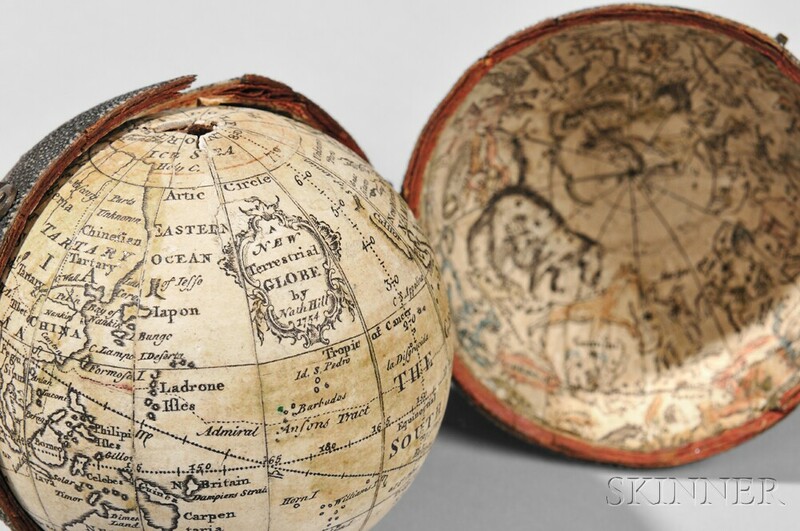 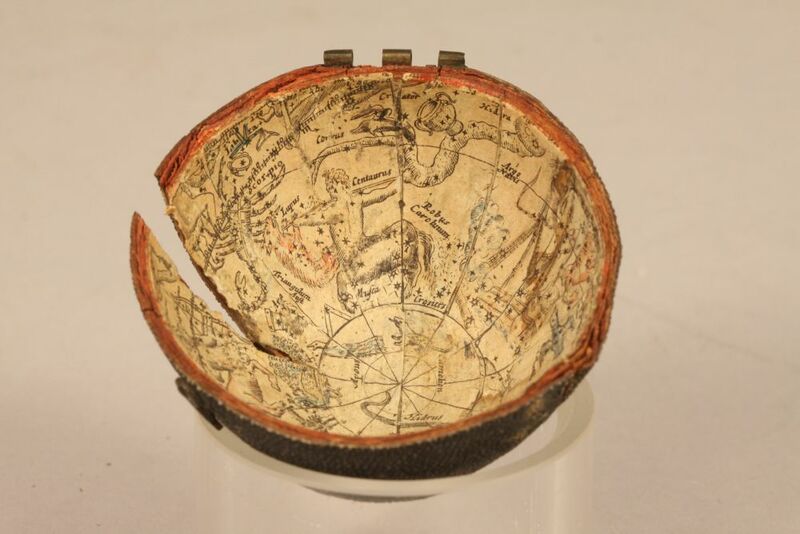 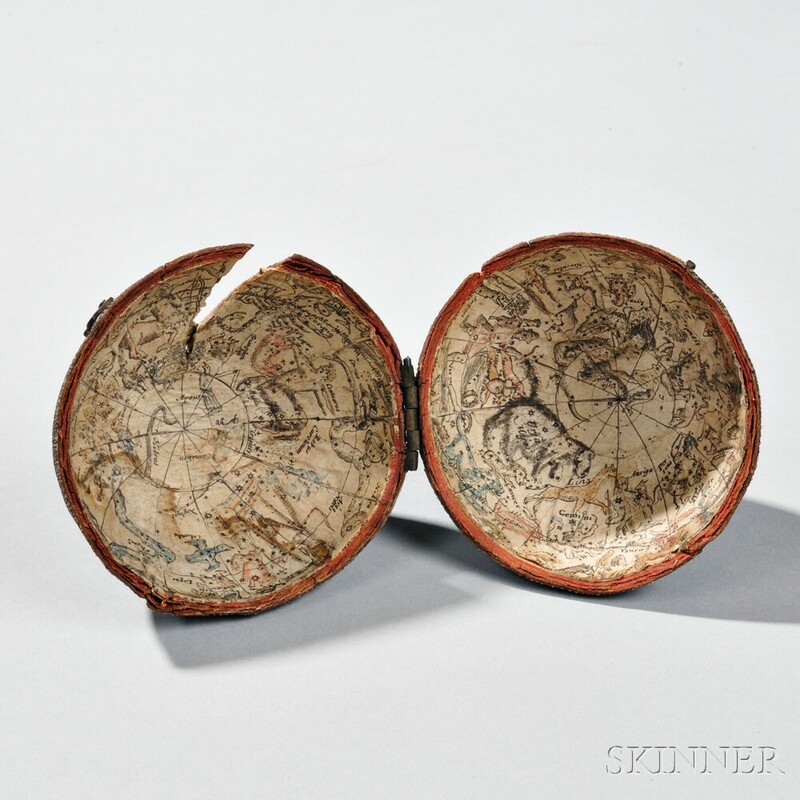 Nathaniel Hill 2 1/2-inch Pocket Globe, c. 1754, twelve printed gores laid down on a plaster and wooden sphere, illustrating the northwest portion of America as Unknown Parts, cartouche reading A New Terrestrial Globe by Nath Hill 1754, fish-skin-covered wood case lined with twelve hand-colored printed gores of the celestial maps, housed in a custom glass and lead case. 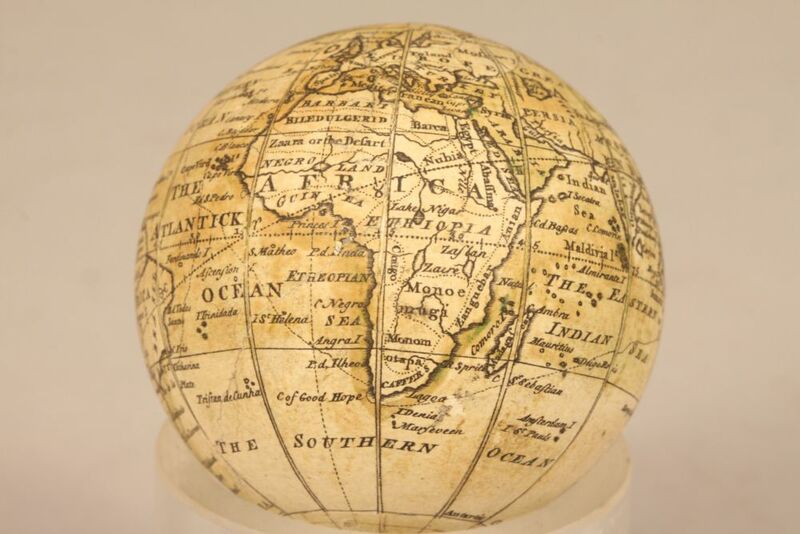 Provenance: Collection of Vera Rubin. 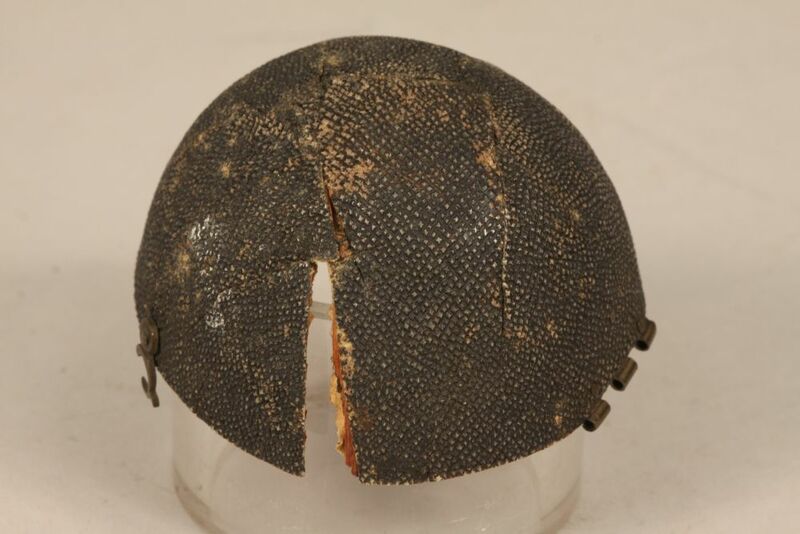 split to fishskin cover, small losses around Poles, lacking one clasp on cover.